A classic square shaped sterling silver picture frame with animal motifs at the corners makes a cute and adorable gift. A baby's picture will make this baby shower or christening gift a keepsake. 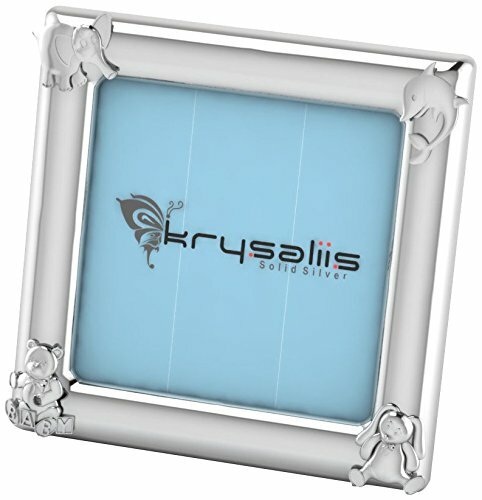 If you have any questions about this product by Krysaliis, contact us by completing and submitting the form below. If you are looking for a specif part number, please include it with your message.